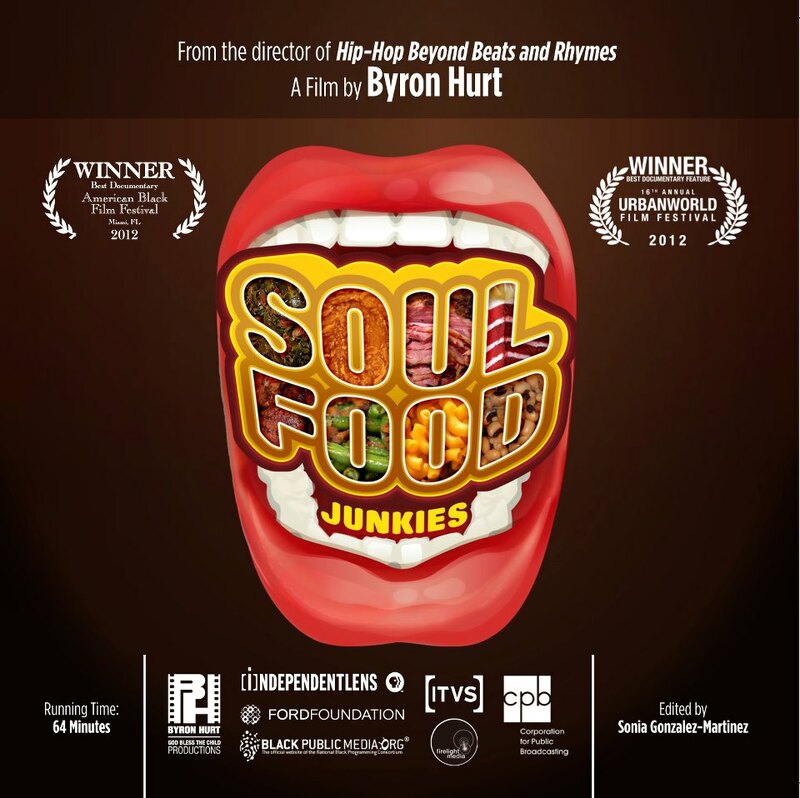 Filmmaker Byron Hurt has been on a three year journey to bring his documentary Soul Food Junkies to viewers. his grassroots effort has taken him across the country into the psyche of black America to produced what I think is an interesting take on the pervasive food dilemma faced by the black community and by America at large. I don't think it matter what side of this issue you agree with, this film will appeal to all viewers because of its depth of perspective, range of intellectual insight, and the list of brilliant people Mr. Hurt has assembled to take on this multidimensional and sometimes divisive topic. My personal culinary feelings aside i really liked what Mr. hurt has done in this film and i look forward to its national exposure tonight to start conversations that will hopfully make it easier for our community and or nation to adpot some drastic reforms in out food sysytem.